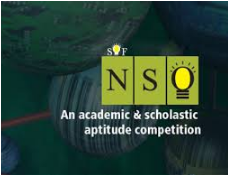 The IMO (International Mathematics Olympiad) conducted by SOF (Science Olympiad Foundation) is a means to identify and encourage the mathematical and scientific creativity of children in schools across India and abroad. The 1st Level of IMO and SOF is organized in the participant school during school hours. The test comprises of 50 multiple choice questions to be completed in 1 hour. The exam consists of questions dealing with mathematical ability, reasoning, logic and everyday mathematics. Each class is given a separate question paper and the medium of the test is English. Every student who appears in either of these exams is provided with a Student Performance Report (SPR). An SPR is a detailed analysis of how the student attempted in the 1st level Olympiad exam. Few top achievers of 1st level qualify for the 2nd level which happens at a venue assigned by SOF. The Mercedes Benz International School has been conducting the Olympiads in the school premises for the last 3 years, this being our fourth Year. Like last year we will be enlisting the help and participation of our parent group in running practice classes for our students for both Maths and Science Olympiad. Preparation for competitions provides opportunities for students to explore non-routine problems, type of problems not usually encountered as a part of the regular mathematics curriculum which definitely makes them more knowledgeable as compared to others. Encourages students to explore alternative solutions to a problem which enhances their problem solving skills as well as their out of the box thinking. Sometimes students are not able to perform well in their regular math lessons but outshine in these competitions which can help in building their confidence. Practice for Olympiad develops time management skills and quick thinking which a key for success in Math. If you would like to find out more, please contact Mrs Amita Seth (Head of Science dept) or Mrs Anjali Singh (Head of Maths dept).